Let’s start this discussion off with an honest fact: every single company out there has competitors. Even if you operate in a very niche market, you’re going to have competitors. And if you somehow find yourself in a brand new arena and manage to be the first to plant a flag, you can bet that it won’t be long before others come trudging up the hill looking for a spot near yours to imbed their own. If your market is profitable, others will want to carve a piece out for themselves. It’s that simple. Here at The Sales Lion, we talk with a lot of clients that want to plant their flag in the digital marketplace. These companies are ready to join the online conversation, and they want their flag to get more attention than all the other flags around it. And we’re more than happy to share our strategies on how to make this happen. In all cases, we have a series of topics that we ask these companies to address. Topics that other companies are either unwilling or afraid to address themselves. One such topic, and possibly the most important (after talking about costs), is to simply address the existence of other flags on the hill. However, out of all the other topics we tell clients to write, talking about their competitors always seems to get the most resistance. Why on earth would your business want to draw attention to your competitors? Well, we have some very good reasons. And we’re going to not only tell you those reasons, but we’re also going to tell you exactly how to write about your competitors on your business’s blog in a way that will actually increase your visits, leads, and sales. Before we really dive into why you should be willing to address your competitors on your website, let’s first ask why not? What is your biggest concern with telling your website visitors that there are others out there that do the same thing you do? Is it because you think they don’t know your competitors exist? Are you afraid if you tell them there are more options, they’ll choose those other options every time? In all honesty, these are very fair questions, and on the surface, talking about your competitors seems counterintuitive. But we’re here to help, and one thing we’ve noticed is that businesses that aren’t afraid to tackle this issue get positive results. Here’s the thing, consumers are more informed than ever. And what they appreciate more than anything in today’s market is honesty. Being the only company they encounter willing to address the big stinky elephants in the room is going to gain you major points with them. Writing an article about your competitors is going to show them that you’re honest, you’re transparent, and that you want what is best for them above all else. Of course they’re not so naïve to believe you don’t want their business, but they’ll be grateful that you’re trying to educate them rather than give them the hard sell every time. Most consumers have never seen a company inform them of all of their other options. And by doing so, they’re probably going to be more willing to see what other topics you have written about that pertain to them, as they’ll trust your guidance and expertise. As you’ll shortly see, you’re going to write articles that target keywords that would normally take searchers to either your competitors’ sites, or to third party review sites. There’s a good chance these searchers are in the decision stage of their journey and simply want to know more about one of your competitors before making a final decision. They may not even realize you’re in the same field. Having them come to your site, rather than any other, at least allows you the chance to introduce your company and services to these people. Even if searchers are aware of your company, and that you do the same service as the other company, if you’re willing to address that there are other people that can help these searchers with their problem, it allows you to control the conversation. You’re going to need to remain fair and unbiased (otherwise they’ll know you’re just trying to persuade them away from the competition), but you can still choose what to say about them, and what not to say. We’re going to talk more in-depth about this below in the explanation of how to write the article, but just like with the traffic you never would have gotten, you’ll get opportunities to create new leads and sales that never would have come your way. So now that we’ve discussed why you should write about your competitors, it’s time to talk about how, and the best practices for doing it right. We’ll also be looking at some examples of companies that have done it well. Like with any articles we write, it’s all about structure. We need to write effective titles, introductory paragraphs, sub-headers, the body of the content, concluding paragraphs, and CTA’s that allow these users to engage with us further. This part might sting a little, but if you’re after traffic about your competitors, you’re going to write a “Best/Review” list article...and you're not going to put your company on this list. Sounds crazy right? But if you're really wanting to gain the trust of readers, putting yourself on the list becomes too self promotional. It can have the opposite effect of what you're after and lead readers to take everything with a grain of salt. But here's the thing that most people have a hard time wrapping their heads around, you don't need to be included in the list for two reasons: 1.) They're already on your website. They're already connecting and engaging with you, even if it's to learn about others. 2.) As we'll discuss soon, you still get to inject yourself as a thought-leader, and one of the best in your industry, in the introduction and conclusion of the article. So here's some ways you can write a title that will garner SEO traffic for people searching "Best [insert service/locations served here]." If you noticed, 3 of the articles targeted the locations they serve, because they're regionally based. 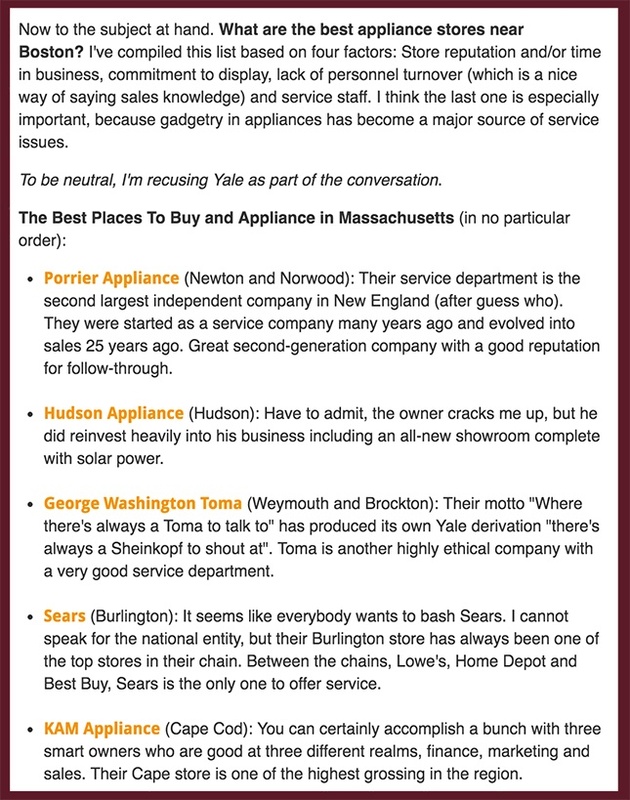 It wouldn't make sense for them to write about "best appliance stores" because they are wanting traffic from people specifically looking for appliance stores near Boston. 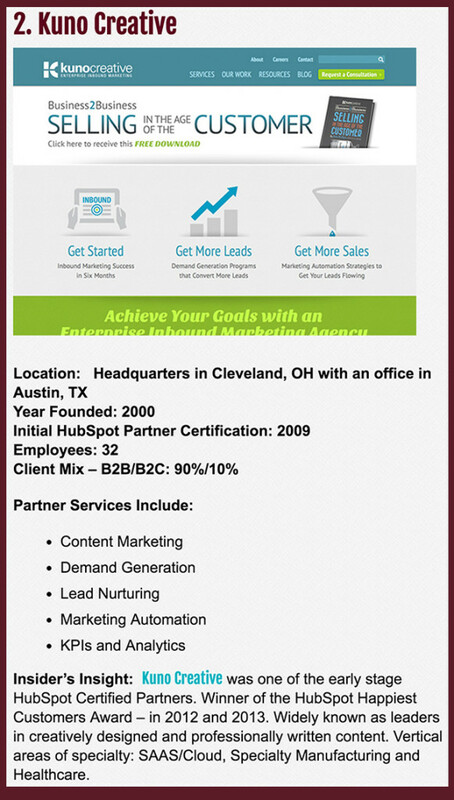 The other article by The Sales Lion (see, we practice what we preach) doesn't use regional specificity, because anybody, anywhere can use HubSpot partner agency services. You'll also notice that other keywords such as "reviews" and "ratings" are being used as well. Your company is not going to be on your best list. However, that doesn't mean that you can't inform the reader why you're not putting yourself on the list. One of the best ways to do this is to write an intro that establishes industry thought-leadership and your company's pursuit for making consumers well-informed buyers. This introduction establishes thought-leadership, expertise, and shows that it's written in the best interest of the consumer. It addresses the reader and the reader's problem directly. It mentions that their company does in fact perform the searched for services, but wants to ensure that the consumer is getting the best care for their individual needs. It shows transparency and thought-leadership by informing the consumer that they do have other options, and that GoRover is willing to help them explore those options. In fact, a willingness to answer any and all customer questions is part of their business philosophy. It shows expertise when it states that other companies are always asking them about other recycling companies. If they weren't experts, why would they receive that question so often? They also take the time to mention important certifications they hold and regulatory compliances they follow. 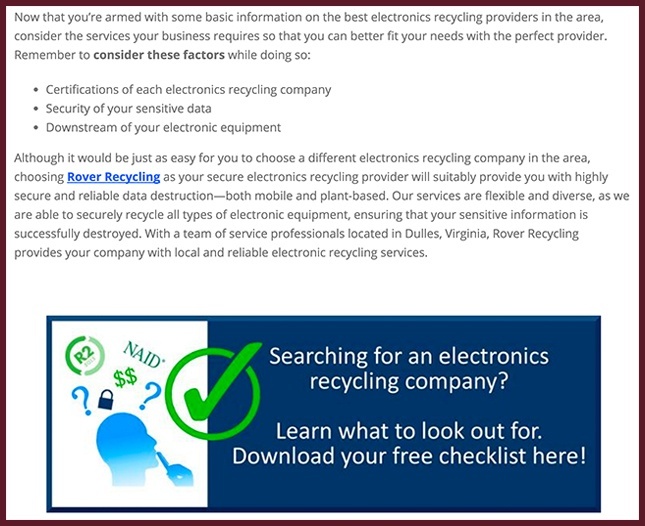 In short, anybody researching electronics recycling companies in this specific area is going to trust that GoRover is going to do their best at helping consumers solve their problems. What information should you share about your competitors? Now we get to the question of the hour? What exactly do we say about our competitors? Is this the time where we slam them and talk about how their products/services are inferior to our own? Or do we sing praises that makes them sound like the perfect fit for any consumer? The answer is...neither. We're not going to trash talk their business, and we're also not going to glorify it. We're simply going to share some very basic information about them: who they are, how long they've been in business, any awards/certifications/compliances they follow, and anything else you'd like to mention. If you want to shed some compliments on their business, you're more than welcome to, but sharing anything derogatory about them can backfire on you, as the trust you're trying to establish with readers could begin to slip. Also, the information you share about each can be as in-depth or shallow as you like. Take the following two articles as examples. The first is from Yale Appliance and the second is from right here at The Sales Lion. This article, by Yale Appliance, is the definition of taking a minimalist approach. They give each of their competitors 2-3 sentences worth of information. Some of it is straight-forward, others include slight praise, and a little humor is sprinkled in, but nothing said will make a reader really want to dig into those companies further. The problem with going this minimal might be that people will still want to know a little more about these other companies. However, the hope is that simply by reading the article and hearing about how the company is more than willing to address the others in the competitive space, readers will connect with this honest approach, and will want to know more about the company writing the article. Here we have a little more information about the competitor. An image of their website homepage, where they're based, how long they've been in business, what types of clients they serve, services they provide, and even some awards they've won and recognitions they've earned. But still, nothing about this entry really invokes any kind of response in a reader to reach out to this other company immediately. They're simply made aware of their presence and availability. If you're really struggling with what to say about your competitors, feel free to go to their website, click on their "About Us" page, and paraphrase what they have already said about themselves. Another consideration you may want to make is whether or not to include a link to their website on your page. In the first article by Yale Appliance, the competitors are named, but their website isn't linked. Anybody wanting to actually learn more about those companies are going to have to go back to Google and find the site on their own. In The Sales Lion article, links to the competitors are included in the post. One of the main reasons for this is because our services aren't for everybody. There are some client types that we simply can't accommodate (those that want someone to do their content marketing for them, rather than learning how to do it themselves). For us, this article will help those people that aren't a good fit find a company that may better serve them. And, any company that would be a good fit for us will read the article and hopefully appreciate our honest approach enough to reach out to us and start a conversation. So, in these articles, how exactly do we get people to engage with us rather than our competitors? In the conclusion is where you get a chance to reintroduce your company's services to the reader and allow them the opportunity to engage with you further. Your outro should reinforce that your company's primary objective is consumer education. Recap for them considerations they should be keeping in mind as they find a company that is a good fit for them. At the same time, you can now tell them about the services you provide, and customers that have found you a good fit for their needs. And finally, you're going to want to keep them engaged by adding a CTA for an offer that is relevant to the conversation. The real key to converting leads that are researching "best" or "review" based keywords within your industry is to keep the lead engaged with you. Yes, some visitors may leave your page to continue their search, especially if their initial search was to really learn as much as possible about one of the other competitors. But the majority of searchers who are looking for guidance in their decision making are going to want to continue their journey with the company the just found that has their best interests at heart. Each of these articles ends with an offer the visitor can receive right away. 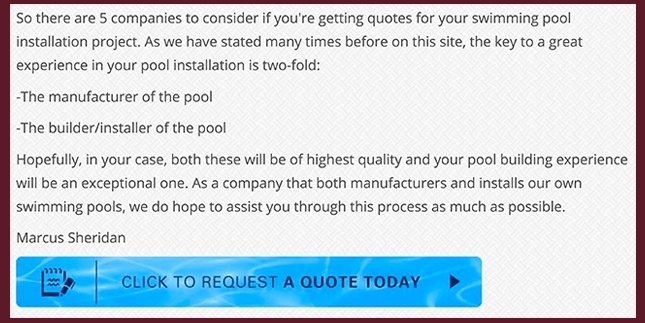 For River Pools and Spas, that offer is to receive a quote for a pool from them. For Go Rover, the offer is download a checklist to use as the reader continues their search. In both cases, if a visitor takes the offer, that visitor will covert into a lead, and further nurturing can begin. To reiterate, even though the focus of the article is about the competitors, the real takeaway is that these visitors may begin to establish trust with the company writing the article. There is a strong chance that the reader may have even been in the final stages of researching a company they were 85% sure they were already going to do business with, land on your website to learn more about them, and instead discover a company they'd rather do business with. One they know cares about their experience enough to address the other flags on the hill. If there's any topic that consumers know most companies don't want to talk about it, it's the fact that there's other companies out there. That's why this type of article fares so well with consumers. But not only do these articles perform well with consumers, they also perfrorm for search engines. Writing articles that can gain the trust from readers is great and all, but that trust can only develop if they're able to find that article. So, aside from the impact these types of articles have on visitors, what kind of impact does it have in terms of SEO. Well, it turns out that these articles often perform very well. Let's start with the easy keywords first, the ones we're targeting as our primary keywords. Say somebody is wanting to buy new appliances for their kitchen, and they're wanting to know which companies in Boston are the best. They would probably search something like "best kitchen appliance companies boston." 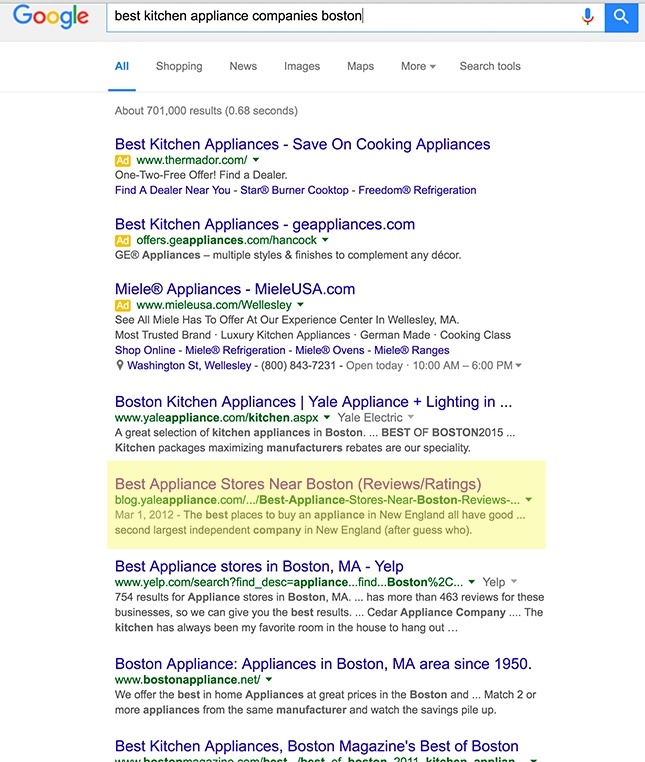 Yale Appliance actually takes the top 2 positions (after the PPC ads) for this search. Both a website page and the blog we've been discussing find themselves at the top of a Google search for these keywords and many more like them. Here we have the same result. 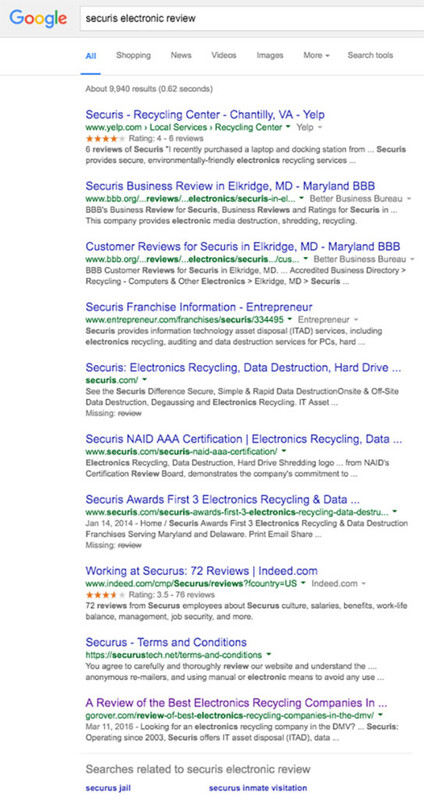 These articles aimed at "best" associated keywords, and made it to the top page. The titles matched what somebody would search, and it did well for them. But what other keywords could these articles rank for? Longer keyword phrases, synonyms, different ways to phrase the question, etc? 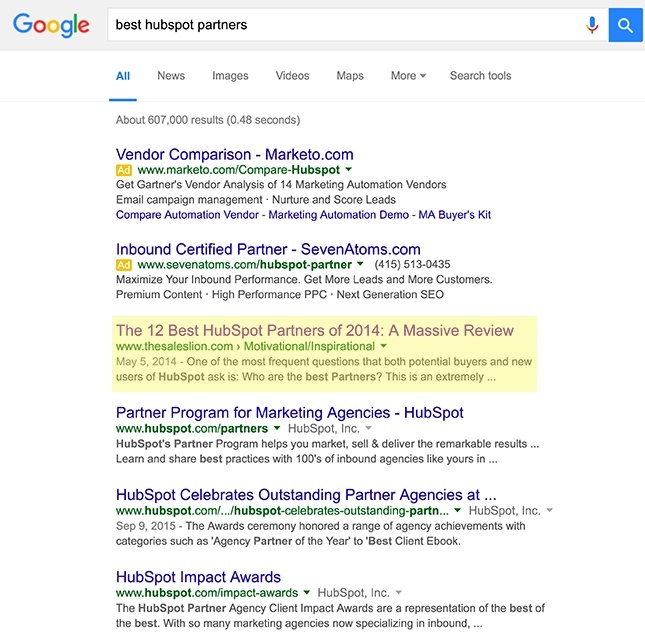 Yeah, you'll rank for a lot of those, but you'll probably also rank for "review" based keywords. Specifically, those about your competitors. Imagine you're shopping for a pool, and you've been in contact with one or two companies so far. You seem to really like one of them, so what are you going to do before handing them your business? Buying a pool is a big decision, so you want to make sure you're doing business with the right company. So what are you going to do? You're going to check online for reviews. 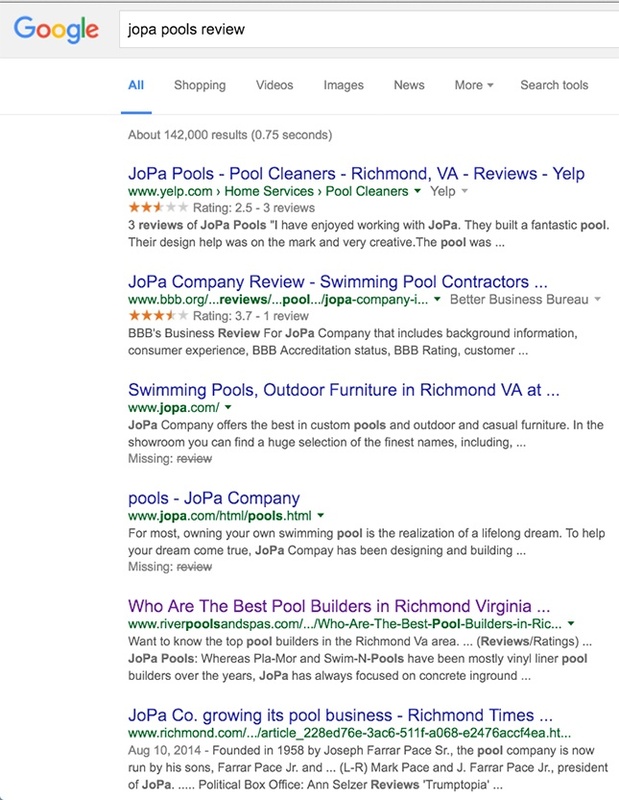 Because the article on the best pool builders in Richmond Virginia included JoPa, and because the keyword "review" was in the title and other SEO friendly places, this article is on the front page for reviews about this company. You'll often find Yelp, Angie's List, Better Business Bureau, Yellow Pages, and other popular review sites on these results page. People who are serious (especially if the commitment is a big one $$) will probably read more than one review. This is one of the main reasons we write these articles; you get the opportunity to interact with people that may already be in the final decision stage of their journey. They may have never heard of you yet, or they may have already passed you up. But now, you get a chance to show them that you're a company that helps them solve problems. 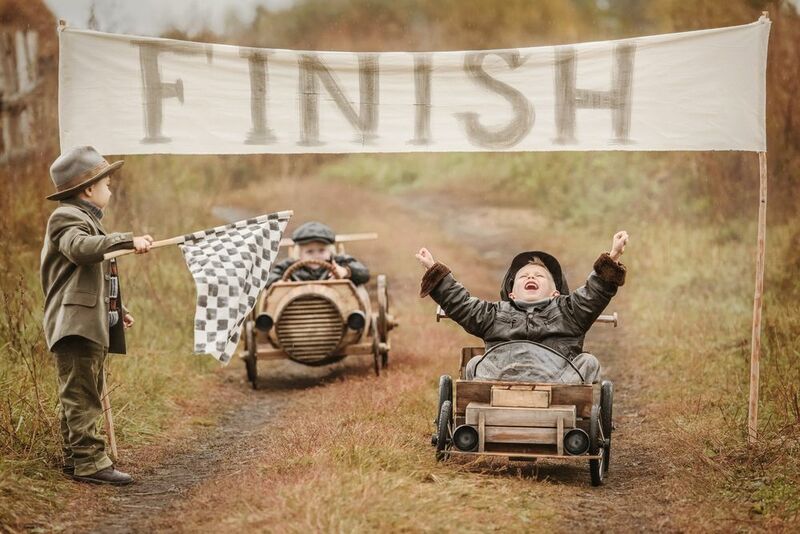 And, you were able to put yourself in front of them at the last minute, before they went with one of your competitors. What do you really have nothing to lose? If they still like the option they've been researching, they're going to go with it. But, if they were on the fence about their buying decision, you could very well end up converting them as a lead, and get the chance to convert them as a sale. And it's all due to traffic you never would have gotten otherwise. A final reason we like to encourage companies to write these articles is because of the speed at which they can begin to rank. The article written by Go Rover was published on March 11, 2016–just three weeks ago. Their site is relatively new, and it's one of their first blog articles, so it's going to take a little time for them to gain traction. While they aren't yet on the first page of a search result for "best" keywords yet, they have already started making the first page for "review" articles of their competitors.